Forklift Certification Minneapolis, Complete Your Forklift Training in 1 Hour! Minneapolis forklift certification is required for all forklift drivers in the Twin City region, and all over the United States. If you hire forklift operators, their training is in your hands. But are you prepared to handle this time-sensitive, important task?CertifyMe.net has a great selection of affordable, OSHA compliant training courses for all of your operators. We’ve helped hundreds of companies across the U.S. with compliance, certification, and training. CertifyMe.net has a great selection of courses for beginners, veteran forklift operators, and everyone in between. If you need Minneapolis forklift certification, contact us today! Whether you hire lift operators in the city of Minneapolis or elsewhere in Hennepin County, you’ll find affordable, OSHA complaint training right here at CertifyMe.net. No need to travel offsite for a training class. No worries about scheduling on your time. With CertifyMe.net, you’ll have all the courses you need, whenever you’re ready to take them. Minneapolis continues to attract forklift drivers from all across the country. But if their training has expired, you’ll need to provide refresher training. CertifyMe.net has Minneapolis forklift certification retraining for all of your employees! CertifyMe.net has the OSHA compliant coursework you need to keep your workplace compliant. Sign up today! 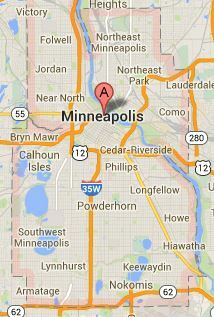 The Twin Cities, Minneapolis-St Paul, is the 15th largest metropolitan area in the United States. As such, it is home to many different corporations and other key employers for individuals with forklift training in Minneapolis. Estee Lauder, Gillette, IKEA, General Mills and Medtronic are among the top employers in the Twin Cities area, according to the employment website, Indeed.com. Why is Minneapolis Forklift Training Important? There are many reasons to contact CertifyMe.net for your Minneapolis forklift certification needs. Without proper Minneapolis forklift training, any jobs can be dangerous and life threatening. With operator error being the number one underlying cause of virtually all forklift-related accidents, training is the best way to prevent accidents, equipment damage, and fatalities in the workplace. As an operator, Minneapolis forklift training is the best way for you to protect your life on the job. As an employer, ensuring your workplace is certified and OSHA-compliant is your most powerful tool for preventing accidents, keeping workers safe, and avoiding fines and legalities. As the number one online forklift training program available, CertifyMe.net offers fast and easy certifications at the most affordable price of $299. In only about one hour, workers can complete the Minneapolis forklift training modules and pass all tests, from any device with an internet connection. It couldn’t get any easier or more convenient to receive the top quality, OSHA-compliant Minneapolis forklift training you need to stay safe at work. Create an account and get certified today! Minneapolis forklift certification, the sky is the limit for your forklift career. Click here to learn more about our courses and pricing. To get started today, sign up now – it only takes a minute! Thanks for considering CertifyMe.net for your forklift certification in Minneapolis. We look forward to hearing from you!